If You Are Interested in Selling Your House, Let Us Make You a Fair and Honest Offer Now! We are currently buying homes in Pensacola and the nearby areas. We don’t care about the condition of the house or the situation you are in. We will work with you to find a win-win situation. We have been helping people for 20 years, find out how we can help you! Over the years, we have helped homeowners with all sorts of difficult situations. We can help if you are being threatened with foreclosure, or if you want to sell quickly in order to buy another house. We will deal with the repairs, bad tenants and everything in between. You really can get a great price for your Pensacola house, no matter what condition it is in! Have you tried listing in the past without any luck? It happens all the time. Quite simply, using an agent isn’t the right choice in every situation. It can cost you money and leave you without a buyer. When you sell to us, there is no waiting around. This is because we pay you directly… without the use of a bank or a lender. There is no red-tape to deal with or hoops to jump through. With a traditional sale, even after you accept an offer, it can still take weeks to actually close. With us, the transaction is almost immediate. We don’t care about the condition of the home or the situation you are in. We can help you with almost anything. 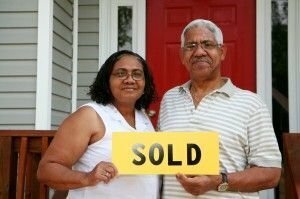 Whether you are being foreclosed on or simply want a fast sale of your house. You do not need to live in a house that isn’t working for you. Sell your house quickly and efficiently. Keep your money in your pocket, and find a home you really love! We can help with bad tenants, an unwanted inheritance, divorce, repairs and more. We will pay you a great cash price for your home fast.